Courtesy of BHHS Nevada Properties, Wende M Bell. 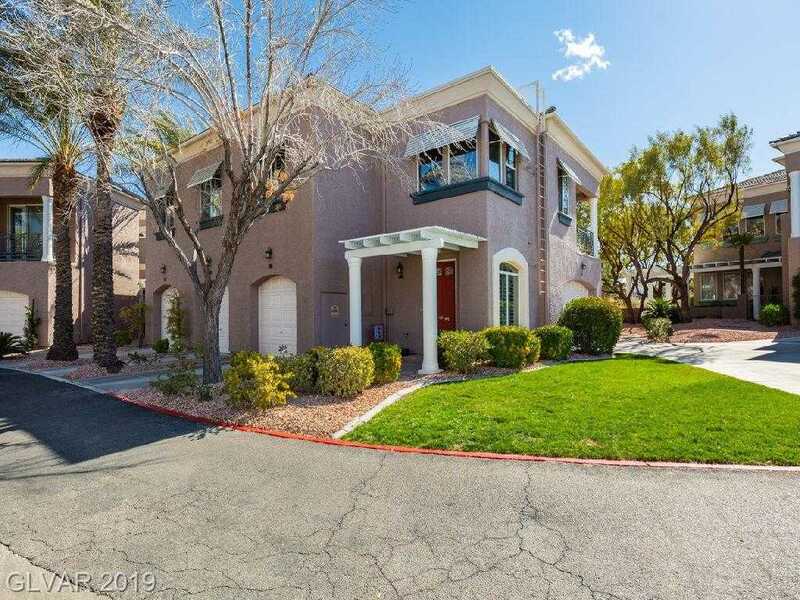 Centrally located in the heart of Summerlin.Pristine complex located on the TPC golf course.Luxury end unit with 2 car garage. 2nd garage is detached.Single floor living.Great room with fireplace and balcony.Mountain views from kitchen.Extensive tile flooring.Brand new carpet on staircase.Direct entry from garage into condo.Light & bright with neutral colors and plantation shutters. Walk to to shopping, library, restaurants. Ready for move-in!